I've been noticing that my inspiration comes a lot from music and the written word. Sometimes I heard a phrase, or a title of a song or a book or a tale and it sparks an idea that needs to be drawn and painted. or in capsules every two hours. those who have had too much philosophy. works better than a rabbit's foot. and it staves off doctors and clinics. helps them to die in peace. and you'll see what you want to. to keep you from drowning. to prisoners and the disappointed. in precise and regular doses. She's eating her spoonful of moon before going to bed... nothing helps you sleep better. (5x7 inches on wood panel). Hi! A lovely blog with lots of "treasures" in it! I love both the paintings and the colours you've used! Yes, everything - a word, a melody, a tale, a sight can inspire the art to burst... I like very much the poem about the moon!! 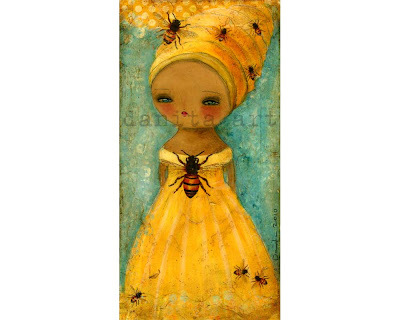 OMG I am in love with Queen Bee, please let me know if you ever have a print of her!! 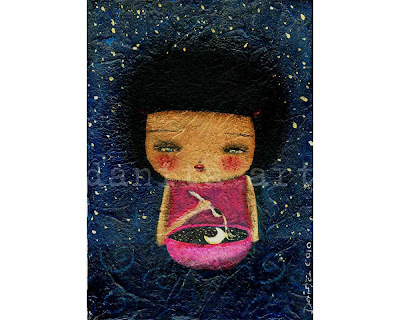 Love the Queen Bee and the colours on La Luna are gorgeous! Danita, i too find inspiring in words! 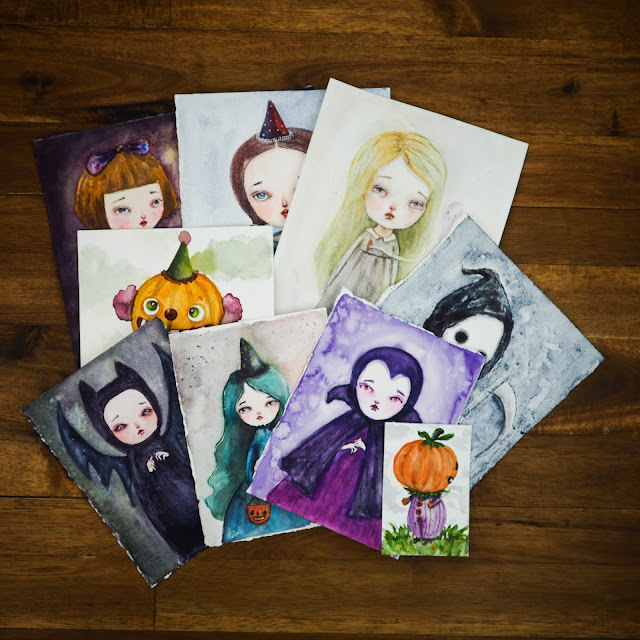 I adore your new paintings especially Queen Bee!! That is such a lovely poem! Thanks so much for sharing! Have a lovely merry happy day and love to you! These are just stunning! I've been painting bee inspired work lately too...they're such magical creatures! I love Queen Bee...Colors are so deep and rich!